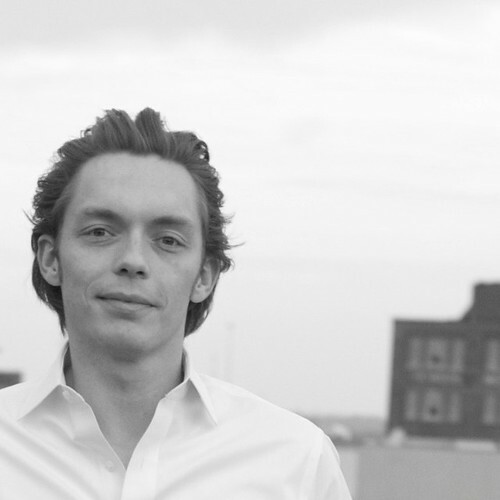 Editor’s note: This is a guest post by Joshua Millburn of The Minimalists. He also writes fiction and his first novel, AS A DECADE FADES, will be published soon. Follow him on Twitter. My mother died in 2009. It was an incredibly difficult time in my life, it goes without saying. She lived a thousand miles away and after she passed it was my responsibility to vacate her apartment in Florida. It was a small, one-bedroom place, but it was packed wall-to-wall with her belongings. My mother had great taste—she could have been an interior designer—and none of her stuff was junk. Nevertheless, there was a lot of stuff in her home. Mom was always shopping, always accumulating more stuff. She had antique furniture throughout her apartment, a stunning oak canopy-bed that consumed almost her entire bedroom, two closets jam packed with clothes, picture frames standing on every flat surface, original artwork hanging on the walls, and tasteful creative decorations in every nook and cranny and crevasse. There was 64 years of accumulation in that apartment. So I did what any son would do: I rented a large truck from U-Haul. Then I called a storage place back in Ohio to make sure they had big enough storage unit. The cost of the truck was $1600. The storage facility was $120 per month for the size I needed. Financially, I could afford this, but I quickly found out that the emotional cost was much higher. At first I didn’t want to let go of anything. If you’ve ever lost a parent or a loved one or been through a similarly emotional time, then you understand exactly how hard it was for me to let go of any of those possessions. So instead of letting go, I was going to cram every trinket and figurine and piece of oversized furniture into that Lilliputian storage locker in Ohio. Floor to ceiling. That way I knew that Mom’s stuff was there if I ever wanted it, if I ever needed access to it for some incomprehensible reason. I even planned to put a few pieces of Mom’s furniture in my home as subtle reminders of her. I started boxing up her belongings. Every picture frame and every little porcelain doll and every white doily on every shelf. I packed every bit of her that remained. Among the organized chaos that comprised the crawlspace beneath her bed, there were five boxes, each labeled with a number. Each numbered box was sealed with packing tape. I cut through the tape and found old papers from my elementary school days from nearly a quarter of a century ago. Spelling tests, cursive writing lessons, artwork, it was all there, every shred of paper from my first five years of school. It was evident that she hadn’t accessed the sealed boxes in years. And yet Mom had held on to these things because she was trying to hold on to pieces of me, to pieces of the past, much like I was attempting to hold on to pieces of her and her past. That’s when I realized that my retention efforts were futile. I could hold on to her memories without her stuff, just as she had always remembered me and my childhood and all of our memories without ever accesses those sealed boxes under her bed. She didn’t need papers from twenty-five years ago to remember me, just as I didn’t need a storage locker filled with her stuff to remember her. I called U-Haul and canceled the truck. And then, over the next week, I started donating all of her stuff to places and people who could actually use it. I am not my stuff. We are more than our possessions. Our memories are not under our beds. Memories are within us, not within our things. An item that is sentimental for us can be an item that is useful for someone else. Holding on to stuff weighs on us mentally and emotionally. Letting go is freeing. Old photographs can be scanned (more on this below). It is important to note that I don’t think that sentimental items are bad or evil or that holding on to them is wrong. I don’t. Rather, I think the perniciousness of sentimental items—and sentimentality in general—is far more subtle. If you want to get rid of an item but the only reason you are holding on to it is for sentimental reasons—if it is weighing on you—then perhaps it’s time to get rid of it, perhaps it is time to free yourself of the weight. That doesn’t mean that you need to get rid of everything though. When I returned to Ohio, I had four boxes of Mom’s photographs in my trunk, which I would later scan and backup online. I found a scanner that made scanning the photos easy. Those photos are digital now; they can be used in digital picture frames instead of collecting dust in a basement somewhere. I no longer have the clutter of their boxes laying around and weighing me down, and they can never be destroyed in a fire. I donated everything else. All of it. Literally. I donated every piece of furniture and all of her clothes and every decorative item she had strewn throughout her home. That was a giant leap for me, but I felt as if it needed to be done to remove the weight—the emotional gravitas—of the situation from my shoulders. You see, I don’t need Mom’s stuff to remind me of her. There are traces of her everywhere. In the way I act, in the way I treat others, even in my smile. She’s still there, and she was never part of her stuff. Whenever I give advice, I tend to give two options. The first option is usually the giant leap option, the dive-in-head-first option (e.g., get rid of everything, smash your TV, throw out all your stuff, quickly rip off the band-aid, etc.). This option isn’t for everyone, and it’s often not for me, but in this case, that’s what I did. I donated everything. The second option is to take baby steps, and it works because it helps you build momentum by taking action. Look at it this way: what sentimental item can you get rid of today that you’ve wanted to get rid of for a while? Start there. Then pick one or two things per week and gradually increase your efforts as you feel more comfortable. Whichever option you choose, the important part is that you take action. That is to say, never leave the scene of a good idea without taking action. What will you do today to part ways with sentimental items that are weighing you down? Jun 1 Can you fit your life into a backpack?